He knows every hair on our heads. I remember the first time I ran my fingers through my hair in the shower and a clump of hair fell out. From what I had heard growing up, growing some hair above your lip was pretty normal for a lot of women, but I did not know what to make of the hair growing out of my chin or the unpleasant sideburns that began cropping up on the side of my face. I was diagnosed with Polycystic Ovarian Syndrome (PCOS) when I was fifteen years old and had not had a normal cycle in more than a year. 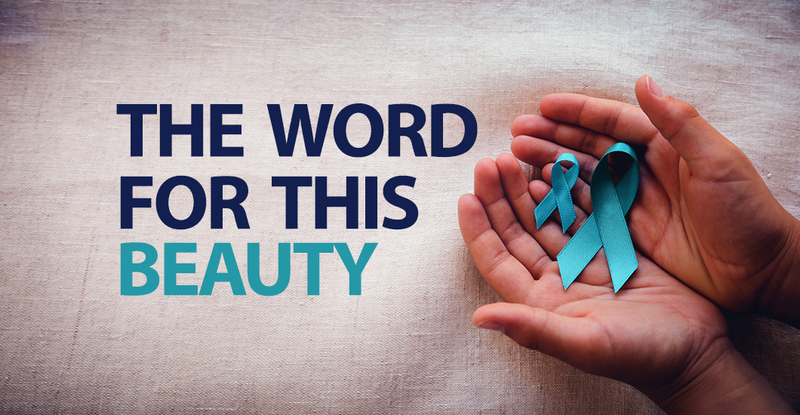 Turns out, one in ten women are diagnosed with PCOS. My blood work results said my androgen levels were through the roof, and all I could see was myself feeling less and less like a woman. But what I could not see when I was fifteen was that I would be made whole through the “brokenness” of my body. Starting at the age of fifteen, I began to believe the lie that my worth came from my body. As I grew up, that lie manifested itself in different ways—insecurity about my appearance, reliance on make-up to feel decent about myself, and feeling unlovable because of the possibility of being unable to bear children due to my PCOS. I threw myself into relationships with boys, hoping that I could make them like me, that maybe I could earn their love. Instead, I was left more and more empty until, in my emptiness, I was finally forced to face how I truly felt about myself. Even after I met our Holy one, I still struggled to accept this seemingly unacceptable part of myself. Heck, I still struggle today to love myself because of my PCOS. But at some point along the way, between the frustrated tears as yet another clump of hair fell out and the exhaustion of hoping against hope for a normal cycle after seven months of nothing—somewhere in between the fears and the loss and the pain—I found the truth. The truth, which is so hard to accept some days, is that for some reason, because of some providential purpose, this is how our good Lord made me. Not only did He make with broken ovaries and jacked-up cycles, but He delights in me this way. He loves the hell out of this woman, her body, her past, present and future, and, most of all, her heart. That, my dear friends, is what I have been overlooking all of my life; I have been so busy trying to have this perfect body that does not belong to me that I have forgotten to strive for a more Christ-filled heart. I have been so overcome by my past mistakes and the ways I have found my identity in nothing more than my body that I have completely brushed past the unalienable goodness of my own heart. I have been so busy saying “I’m sorry” for all my imperfections that I have lost the ability to say “Thank you” for all my blessings. Not long ago, a dear friend of mine prayed over me as I cried in anger, feeling as if I was drowning in my own waves. I will never forget what she told me: “Know that there is nothing wrong with you. Even your PCOS belongs to the Lord, and it’s time that you reclaim it for Him.” Too often we let the evil one use our “imperfections” to beat us down and we blame it on ourselves. For you it may be a physical condition, a vice or a fear, but whatever it is, no matter how overwhelming it may seem, our Jesus has already overcome. Whatever oceans you are sinking in, reclaim them for the one that “even the wind and seas obey” (Matthew 8:27). He “knows every hair on your head” (Luke 12:7), even the ones you have lost and even the ones that grow in places they are not supposed to. There is nothing wrong with you. He made you good and it is well, even if you do not believe that yet. © is a sophomore at the University of Mary in Bismarck, ND. She grew up in West Virginia and is the oldest of seven children. Claire is currently studying social work and child development in hopes of becoming a Child Life Specialist in a pediatric hospital. Just as baseball players head to spring training to practice and prepare for their upcoming season, might I suggest spring training for something a little different: being led by the Holy Spirit. After Deacon Ralph Poyo lead my parish’s mission one year, the message that spoke directly to me was that we need to be a people and a parish that is led by the Holy Spirit. If we do not ask for the Holy Spirit to guide us in all things, we will not become the vibrant, welcoming parish we desire and the saints we are meant to be. For example, after the second evening of the mission, when Deacon Ralph talked about spiritual warfare, I commented to him that I had dreamt about demons afterward. I asked him, “Is this something I should be worried about?” He said, “I am not who you should be asking. Who should you be asking instead?” I immediately replied that “Oh, I should probably talk with our pastor.” He said, “Nope!” Then I realized I should be talking to God and he clarified that I should ask the Holy Spirit specifically. Light bulb moment! The Challenge of Being Holy Spirit Led Living guided by the Holy Spirit is not easy, as it is not how we usually live our lives. Rather, we tend to think what do I want right now and how can I get it? Or what do my kids want and how can I get it for them? 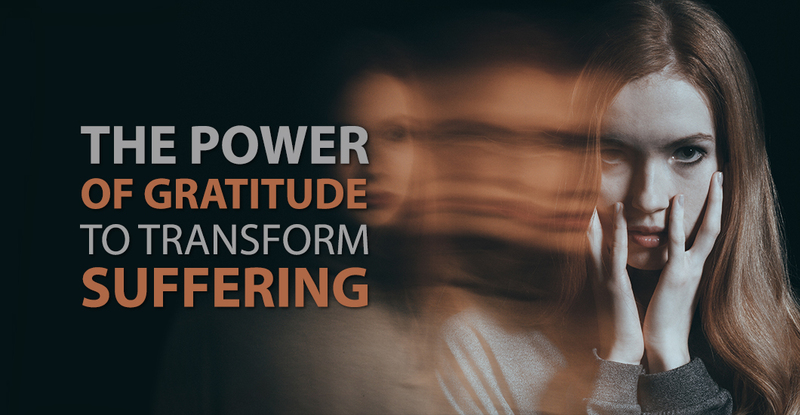 We have to relinquish that “me, me, me” self-centered way of life and change it to “He, He, He.” That requires some serious spring training for all of us to get into spiritual shape! What does it mean to live guided by the Holy Spirit? It means asking His guidance in all things. I do not know about you but I cannot remember to throw the empty shampoo bottle into the recycling bin, so remembering to ask the Holy Spirit for guidance before all things? That is going to take some practice with undoubtedly a few curve balls along the way. If we want to live “Holy Spirit-led,” then we have to turn it into a habit; we have got to get to the point that it is just a part of our “swing.” That means at least three weeks of doing this on a regular basis until it becomes ingrained in our day-to-day activities, so we no longer have to exert effort to make it happen. That takes practice! Not only do we have to remember to ASK, we have to remember to take time to LISTEN for His answers and then ACT on them. I pray every day to Mary for the grace to better discern God’s will for me, to actually DESIRE His will for me and then to have the courage to DO His will for me. 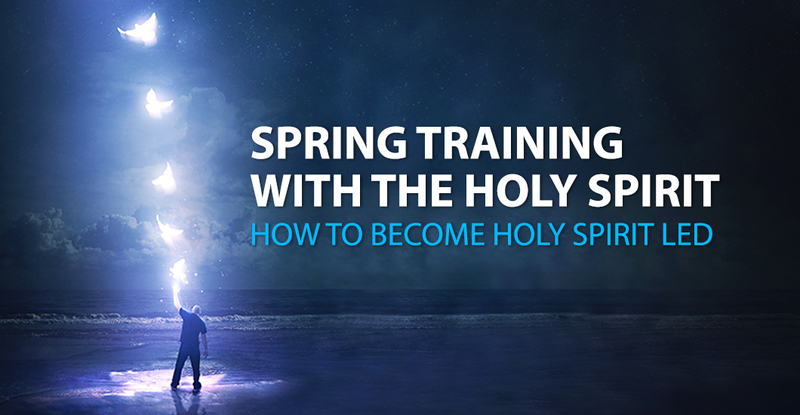 Spring Training Exercises to be Holy Spirit-Led: Most importantly, we have to give the reigns of our lives over to God, allowing Him permission to guide us. 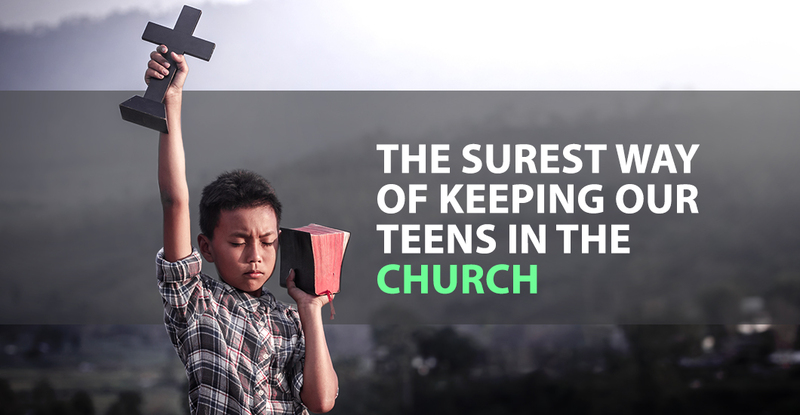 Here are some other ideas and suggestions: ◗ Go to daily mass as often as you can and present your questions during mass. ◗ Spend some time in the Blessed Sacrament at the beginning or end of your day, lifting up your thoughts to the Holy Spirit. ◗ In the book “Walking with Purpose: Seven Priorities That Make Life Work” by Lisa Brenninkmeyer, the author suggests taking some morning prayer time to do the following: ➔ Using a journal, write a note to God/Holy Spirit about any worries, concerns or direction that you need; ➔ Write down a list of what you need to pray for daily. ➔ Read the Bible—You can read the daily readings or follow a Bible Reading Plan like the one from the Coming Home Network. Look for answers from the Holy Spirit. ◗ Before major discussions, emails and phone calls, stop and say a prayer for those involved and that God’s will be done. ◗ Pray the Angelus at noon—Set a timer on your phone and stop and pray this short prayer in solidarity with others around the world. 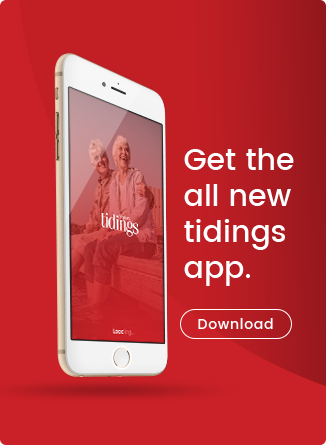 ◗ Pray one of the Liturgy of the Hours—Download the Laudate app on your smart phone and stop and pray at 6 a.m., 9 a.m., 12 p.m., 3 p.m., 6 p.m. or 9 p.m. ◗ Pray your calendar each day. Stop and review your calendar, praying for each person you will meet or talk with that day. ◗ Daily Reflection/Examination of Conscience— Matthew Kelly’s “Dynamic Catholic” offers a great prayer process you can complete upon the close of the day, examining what you did and did not do to be the best version of yourself, pray for others, thank God for what you are grateful for that day, etc. ◗ Go to Reconciliation monthly, so you can properly “hear” the Holy Spirit rather than have Him be clouded out by sins, even little ones. ◗ Receive the Eucharist as often as you can to continue to cleanse yourself of sin and receive grace from God. ◗ Engage in spiritual reading and look for answers from the Holy Spirit. 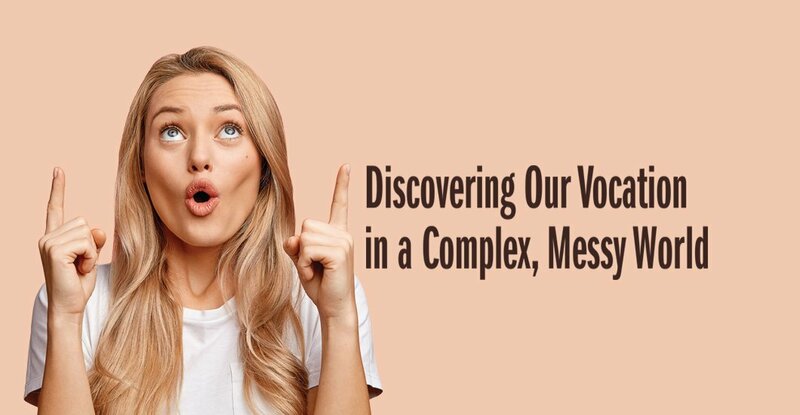 After You Listen, Put What You Learned into Practice These exercises help us make time to ask and listen to the Holy Spirit but then it is time to ACT, which can be the toughest part. You are going to be out on the field, in front of everyone, putting into action all that you have learned in training and following the coach’s (Holy Spirit) orders even if you do not like them. The Holy Spirit puts me outside of my comfort zone all the time in what He asks of me. I have slowly adopted the attitude that it does not matter what others think, only what God thinks. As an introvert, if I feel afraid to introduce myself to someone, or think they might think I am being too forward or strange, it does not matter; as embarrassment and anxiety creep in, I try to let those feelings go. I have to be at peace knowing I was trying to do what God asked and knowing He will be pleased no matter what anyone else may think, even if I feel embarrassed or silly as a result (believe me, that happens most of the time!). That is truly all that matters. Are you ready to be Holy Spirit-led? 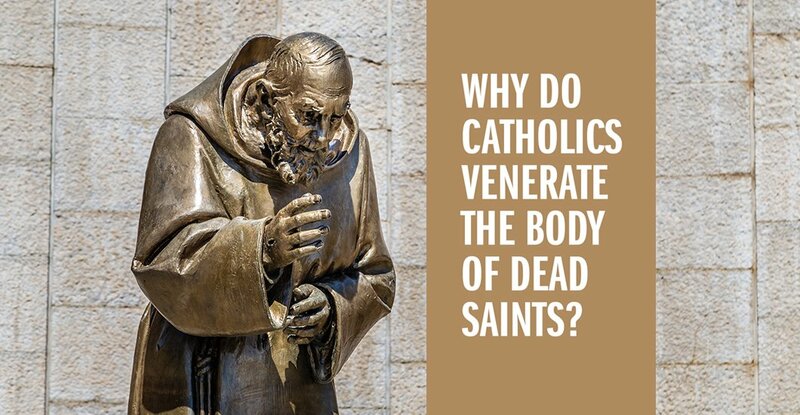 It is critical if we want to become the saints God desires us to be. Let us let Him lead us to the Promised Land but first let the spring training begin! We were all shocked and shattered when my brother announced he wanted to become a priest. It was not just that he wanted to become a priest, but he wanted to become a Cistercian priest. That meant that once he left home, he would never return. My mother was totally bereft. 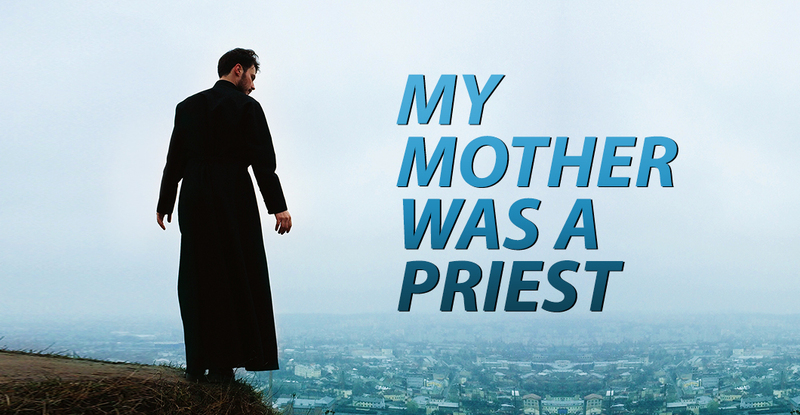 She was proud that her son wanted to be a priest, but why, oh why, did he want to become a monk as well? She did not know what to do, but fortunately, she did know who to turn to. She turned to Gus, a friend since childhood. He himself had left home to become a priest and a monk and was at the time the Abbot of Belmont. The Meaning of Motherhood Gus told her that a mother only really fulfils and completes her motherhood when her love is so great that she allows her child to both choose and follow his own chosen vocation in life, whatever that may mean. He told her this was the sacrifice Mary made when she allowed the Son she had given birth to go His own way and respond to the vocation to which He had been called. My mother felt much better after talking with Gus, or Abbot Williams as he was then. After all, he was a priest and a monk himself and so was able to console and encourage her better than anyone else. Although my brother had been accepted as a prospective monk at Mount Saint Bernard’s, the Abbot asked him to finish his studies in Paris, where he was studying at the Sorbonne. Naturally, he was delighted he had been accepted, because he thought his handicap would have prevented him from becoming a priest—one leg was shorter than the other as a result of polio when he was six. A Terrible Accident Unfortunately, my brother had a terrible accident on the way to his final examinations. Partly due to the iron calliper on his leg, he slipped down the escalator on the Metro, hit his head and was killed instantly. He was only twenty-two. I was seventeen at the time and called out of the school study to be told of the tragedy. When I got home it was to find my mother all but inconsolable. She had already come to terms with the sacrifice she had been asked to make when he chose to become a monk, now she was asked to make another, more complete and final sacrifice that she never thought for a moment would ever be asked of her. Once again, she turned to Abbot Williams for spiritual help. Like Mary, My Mother Became a Priest Abbot Williams told her she was now being asked to be the priest that her son never became. He told her Mary had been a priest and the greatest sacrifice she made was the sacrifice of her own Son. All of Mary's life revolved around selflessly giving her all for the dear Son she had born. Everything had always been for Him and then she had to give absolutely everything, even Him. This was the most perfect and complete sacrifice any mother had to make, and she made it as she stood there at the foot of the cross. My mother never forgot what Gus said to her. It did not take away all the pain, but it did give meaning to it and made it bearable. What helped most was seeing that the sacrifice she had to make was exactly the same sacrifice Mary had to make on Calvary. A Lesson Learned from My mother There is only one true priest and that is Jesus Christ, who made the most perfect sacrifice anyone can make, the sacrifice of Himself. We are priests to the degree in which we share in His priesthood. Throughout His life He offered Himself unconditionally to His Father and for the people His Father had sent Him to serve. We share in His priesthood when we also offer ourselves to the Father, in, with and through Him and offer ourselves to the same family of man He came to serve. That is what my Mother came to see and understand more clearly than anyone else I have known, not just in the way she thought, but in the way she acted. It was a lesson she had to learn at the most painful moment of her life, when she had to share in the sacrifice of Christ in exactly the same way as Mary had. Lessons learned in such moments are never forgotten. They indelibly stain the memory and determine the way you think and act for the rest of your life, for better or for worse. In my mother’s case it was for better not worse, as it was for Mary. For both of them it meant that through their terrible ordeal their motherhood had somehow been refined and deepened to the benefit of other children who looked to them for the motherly love that was always given without measure. I for one know this because I have experienced it for myself and still do. As I look back at the past, it is the more dramatic demonstrations of my mother’s self-sacrificing that stand out in my memory. However, the more I reflect the more I see that her whole life was a continual selfless sacrifice for her family, just as the life of Mary had been. Every day of her life and every moment of her day was given for her children, in a hundred and one different ways, through which she exercised her priesthood, as Mary did in her life on earth. It was little wonder that her three sons all wanted to become priests; after all, they had been living with one all their lives! Selfishness and Sacrifice When the family went to Mass together each Sunday, they saw my mother totally absorbed in what they took all too easily for granted. Their selfishness meant they had too little to offer while she was offering a thousand and one acts of self-sacrifice, made for them during the previous week. This meant my mother received to the measure of her giving, for it is in giving that we receive, and she received in ever-greater abundance with each passing week. This gave her the help and strength she needed to go on giving in the forthcoming week, go on sacrificing for the family that took her all too easily for granted. Without any formal theological education, my mother discovered for herself that the Mass is not only a sacrifice, but also the place where we offer ourselves in, with and through Christ to the Father and something further. It is also a sacred sacrificial meal where we receive, from the One through whom we have offered our sacrifices, the love that He is endlessly pouring out on to, and into, all who are open to receive it. Motherhood was for her, as for so many other selfless, self-sacrificing mothers, a way of participating in the central mystery of our faith. If her daily dying united her to the dying of Christ, it also opened her to receive the love that raised Him from the dead on the first Easter day, empowering her to share what she had received with the family for whom she had given everything. The son she always mourned may never have become the priest he desired, but she more than took his place. The priesthood she exercised would not only inspire her own family but other families as well— families who are still inspired, as I am, by her shining example that will never tarnish. My Brother’s Death Was Not In Vain The death of my dear brother affected me deeply, but his death was not in vain. It inspired me in such a way that I have spent my life writing about him and using him to spread the profound spirituality that attracted him to the monastic life, to inspire others as well. I have spent much of my life writing three major spiritual works. The main protagonist in each work is the hermit, Peter Calvay, who is entirely based on my brother, Peter Torkington. In my imagination, instead of entering the Cistercian order, as he had intended, I simply transferred him to the Outer Hebrides, where he became a hermit. Then, as his spiritual life deepened, he began to help others. If Peter had become a monk his spirituality would have been monastic. However, living as a lay-person enabled Peter to develop for himself a profound lay spirituality based on the spirituality that Jesus Himself lived with His disciples, through whom this spirituality was bequeathed to the early church. This is, of course, of particular help to a modern reader trying to live the Christian life while outside the context of the religious life, like yours truly. If these books help you, as they have helped more than 300,000 readers over the years, then my brother’s death will not have been in vain, nor will the simple spirituality we both learned from our mother.